Thompson is located in the Northeast corner of Connecticut; it is a quiet town that provides its residents with a rural, country setting. Both business owners and homeowners alike thrive in the progressive, modern community that Thompson offers. To help protect your property from the pests that also prosper by living in Thompson, trust Big Blue Bug Solutions. 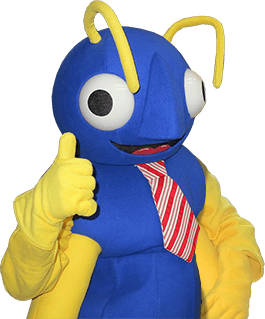 Big Blue Bug Solutions has been providing New England property owners with effective, environmentally responsible solutions for a wide variety of pest problems for over 80 years. We know how serious and stressful pest problems can be, which is why we offer services that are a guarantee, guaranteed to eliminate all the pests from your Thompson residential or commercial property. Contact us today to learn more about how we can work together to protect your family and property from insects, rodents, and other critters. The Home Owner’s Policy provides 3 visits per year which include, preventative treatment, on-going monitoring of especially vulnerable areas, and the guarantee that if pests come back between visits so do we at no charge to you! In addition to our year-round Home Owner’s Policy, we offer the following modern solutions and programs to target specific pest issues including bed bugs, carpenter ants, mosquito and ticks, termites, and wildlife! Give us a call to learn more about any of our exceptional residential pest control solutions! Identifying bed bug bites can be difficult for two reasons, their bites tend to look very similar to other insect bites and not all people react to these bites. You could be being bitten without ever knowing it! So while identifying bed bug bites can be tricky it is still good to know how to protect yourself and family from these parasitic pests. It is important to know that if you are going to react to bed bug bites it may not happen immediately. Sometimes it can take several days to see the effects of the bite. Bed bug bites are small, slightly raised (not swollen) red areas. Their bites are usually itchy and may form a small blister in the center of the bite. Bed bugs are most likely to bite people on the areas of skin that are exposed during sleep like legs, arms, hands, face, shoulder, and lower back. Bed bug bites are not placed randomly, you will see a group of bites in a straight line or zigzag pattern. If you ever feel that you or family members are being bitten by bed bugs don’t hesitate to contact Big Blue Bug Solutions. Our professionals will take quick action, inspecting your property and recommending an effective discrete treatment option that is unique to your property. Contact us today to learn more about bed bugs and how we can help to eliminate them from any Thompson, CT property! The professionals at Big Blue Bug Solutions want to work with you to ensure that your Thompson commercial facility becomes and stays pest free. We want to help you ensure that pests aren’t damaging your property, making customers or employees ill, and aren’t causing the reputation of your business to be tarnished. To control pests in commercial properties we have developed our monthly maintenance program. The monthly maintenance program includes once a month visit made to your commercial facility by our highly trained, educated and devoted professionals. At each visit, we monitor all pest activity and perform preventative treatments. If ever pest activity is found we will take care of the problem immediately. Some pests like termites or bed bugs may require some additional planning before treatment can begin! In addition to our monthly maintenance program, we offer other solutions to keeping pests out of your facility like IPM (Integrated Pest Management), Pest Control Insulation, and drain cleaning. Contact us today to learn more about our commercial pest control solutions and why they are right for your Thompson, Connecticut business! In conjunction with the above prevention tips, implementing a year-round pest control program from Big Blue Bug Solutions works very effectively to keep silverfish and other household invading pests out of your Thompson home!